Creamy, fluffy, full and fresh of flavor. 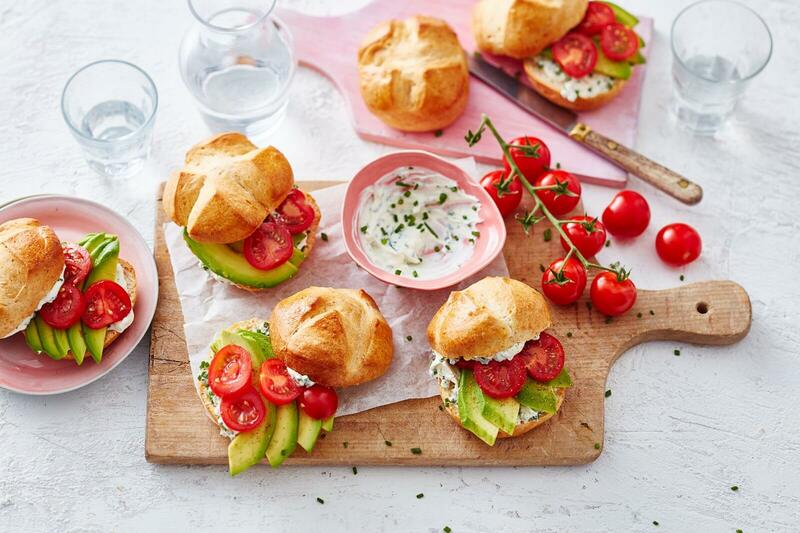 These petits pains with avocado and cream cheese are great for breakfast, lunch or a picnic! Open the can and take out the six dough pieces. Place the dough onto a baking tray with bakingpaper. Whisk an egg and brush the dough with it. Cut a square into the buns using a knife. Bake the buns until they turn golden brown, this will take around 15 minutes. Mix the cream cheese and finely chopped chives together. Add salt and pepper according to preference. Cut the avocado and tomato in slices. When the buns are ready, cut the buns open and place the cream cheese, avocado and tomatoes generously onto the buns. Enjoy!